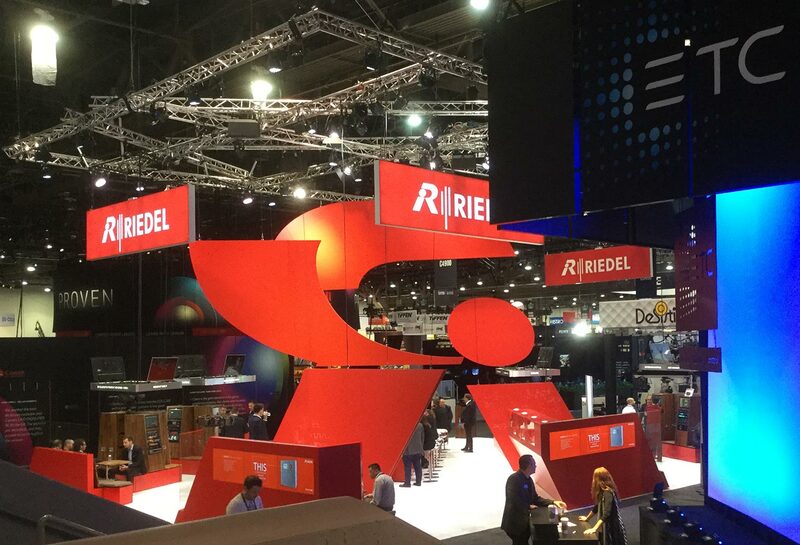 NAB is the biggest toy store in our industry. As in years past, I’ve covered it for DV magazine, where you’ll find the expanded version. The following is the segment covering the four – soon to become five – most popular NLE vendors. Editing options largely focused on the four “A” companies – Apple, Adobe, Avid and Autodesk. Apple wasn’t officially at the show, but held private press meetings at an area hotel. Consulting company FCPworks presented a series of workflow and case study sessions at the Renaissance Hotel next door to the South Hall. 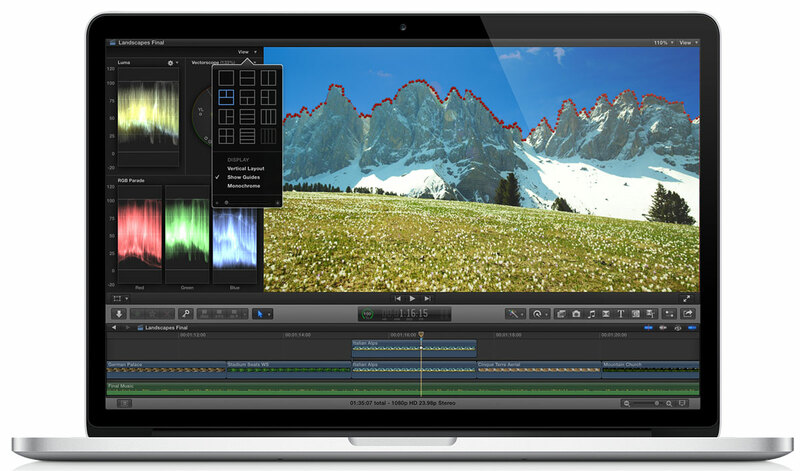 This coincided with Apple’s release of the updated versions of Final Cut Pro X, Motion and Compressor. FCP X 10.2 includes a number of enhancements, but the most buzz went to the addition of a new 3D text engine for FCP X and Motion. Apple’s implementation is one of the easiest to use and best-looking in any application. The best part is that the performance is excellent. Two other big features fall more in line with user wish lists. These include built-in masking and changing the color correction tool into a standard effect filter. Compressor has now added a preset designed for iTunes submission. Although Apple still encourages users to go to iTunes though an approved third-party portal, this new preset makes it easier to create the proper file package necessary for delivery. 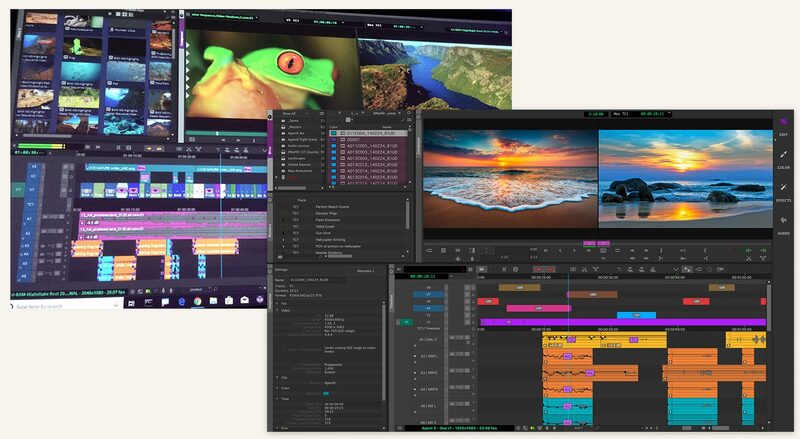 Adobe has the momentum as the next up-and-coming professional editing tool. 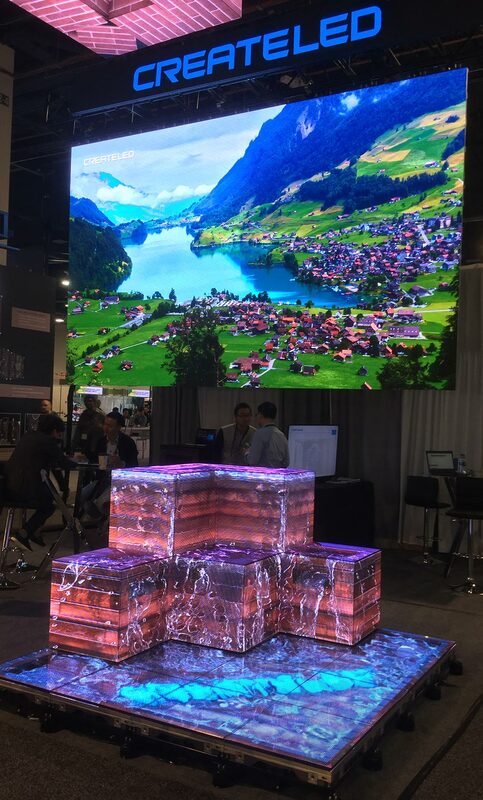 At NAB Adobe was showing technology previews of the application features that will be released as part of a Creative Cloud subscription in the coming months. Premiere Pro CC now integrates more of SpeedGrade CC’s color correction capabilities through the addition of the Lumetri Color panel. This tabbed control integrates tools that are familiar from SpeedGrade, but also from Lightroom. 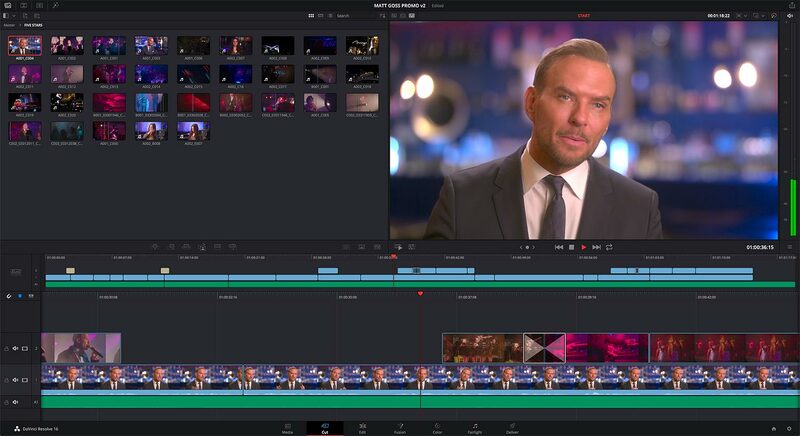 Since Premiere already includes built-in masking and tracking, this means the editor is capable of doing very sophisticated color correction right inside of Premiere. Morph Cut is a new effect that everyone cutting interviews will love. The effect is designed to smoothly transition across jump cuts in a seamless manner. It uses advanced tracking and frame interpolation functions to build new “in-between” frames. After Effects adds an outstanding face tracker and improved previews. View design iterations, adjust composition properties, and even resize interface panels without halting composition playback. The face tracker locks onto specific points (pupils, mouth, nose), which enables accurate tracking when elements need to be composited onto an actor’s face. 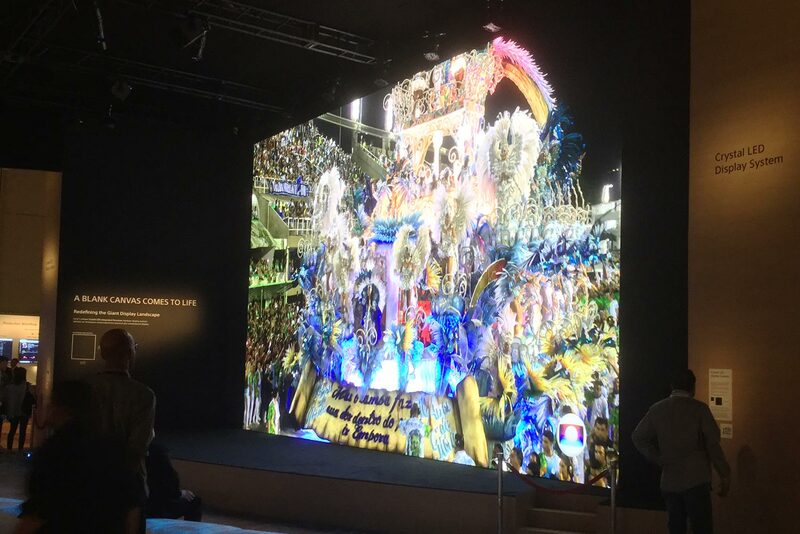 Adobe is also good for out-of-the-box thinking on new technologies. Character Animator was demonstrated as a live animation tool. Using real-time facial tracking, such as from a laptop’s webcam, the animator could do live animation key framing of an on-screen cartoon character. Import a cartoon character as a layered Photoshop file as the starting point. When you move and talk, so does the character in real-time – all controlled by the tracking. Not only can you add the real-time animation, but certain animation functions are automatically applied, like a character’s breathing motion. Another interesting tool is Candy. This is a mobile app which analyses the tonal color scheme of photos stored on your mobile device. It creates a “look” file and stores it to your Creative Cloud library. This, in turn, can be synced with your copy of Premiere Pro CC and then applied as a color correction look to any video clip. 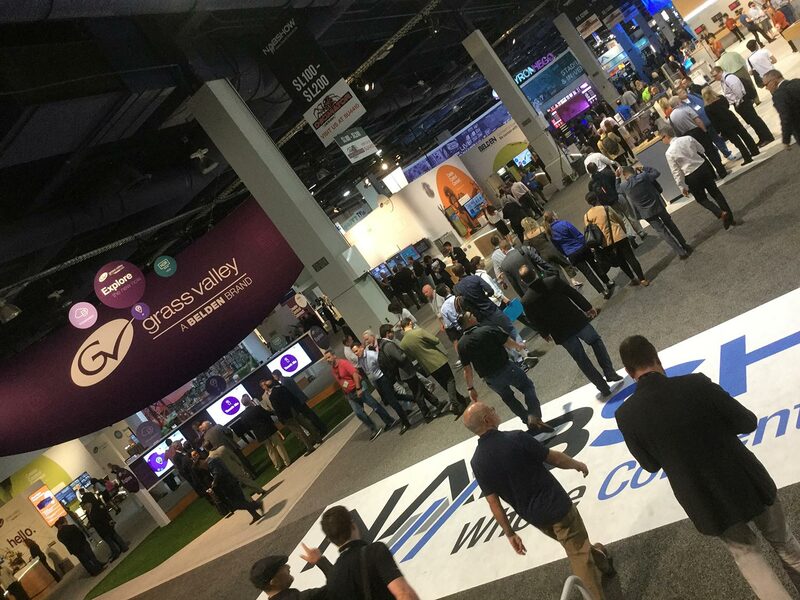 Avid ran the second annual Avid Connect event for members of their customer association in the weekend leading up to the NAB exhibition. 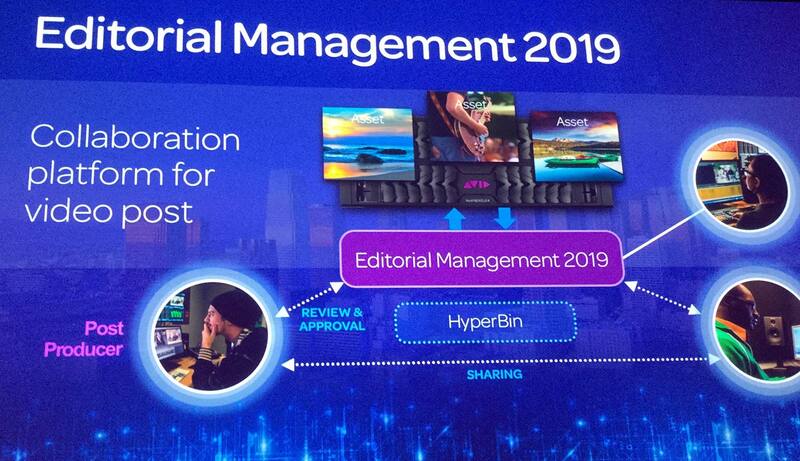 Although this was the first show appearance of Media Composer 8.3.1 – Avid’s first move into true 4K editing – they did very little to promote it. That’s not to say there wasn’t any news. 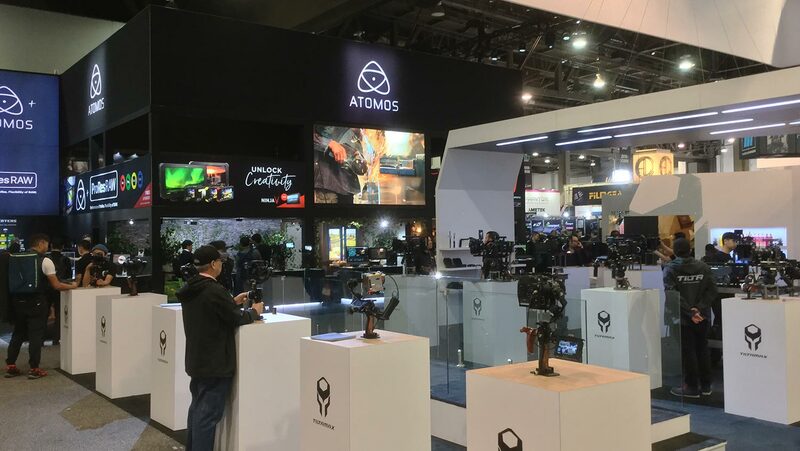 Several new products were announced, including the Avid Artist | DNxIO. 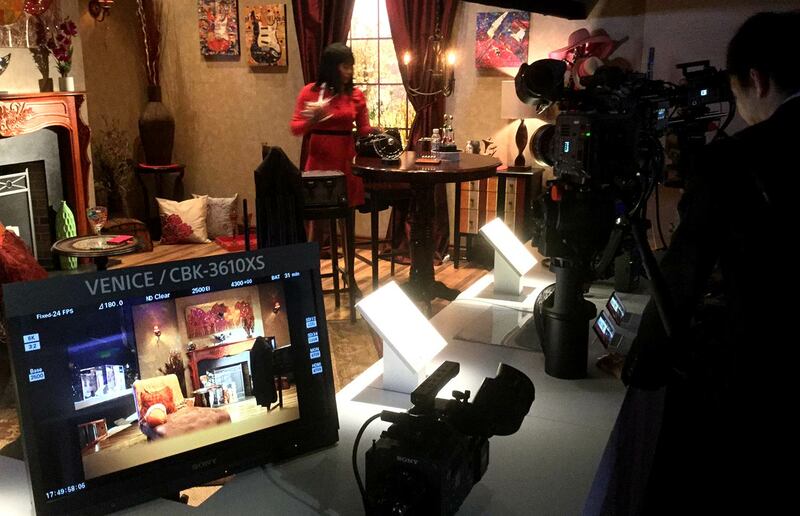 Instead of developing their own 4K hardware, Avid opted to partner with Blackmagic Design. The DNxIO is essentially the same as the UltraStudio 4K Extreme, except with the addition of Avid’s DNxHR codec embedded into the unit. 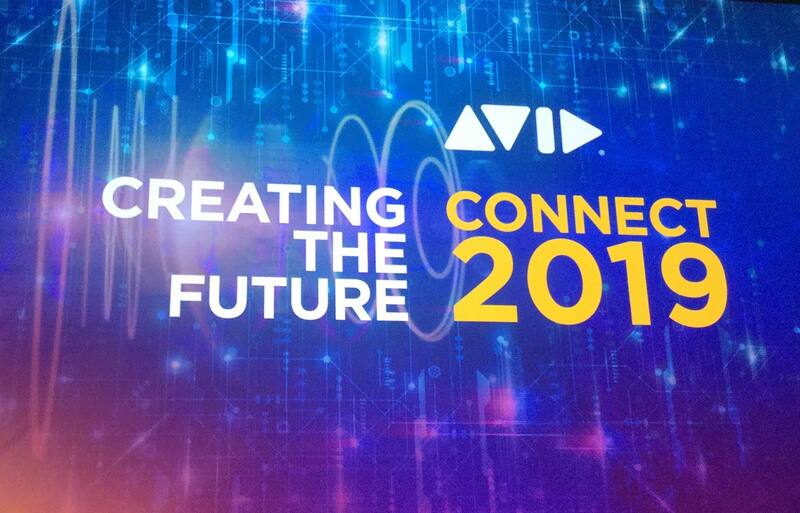 Only Avid will sell the Avid-branded version and will also provide any technical support. The DNxIO supports both PCIe or Thunderbolt host connections and can also be used for Adobe Premiere Pro CC, Apple FCP X and DaVinci Resolve running on the same workstation as Media Composer. 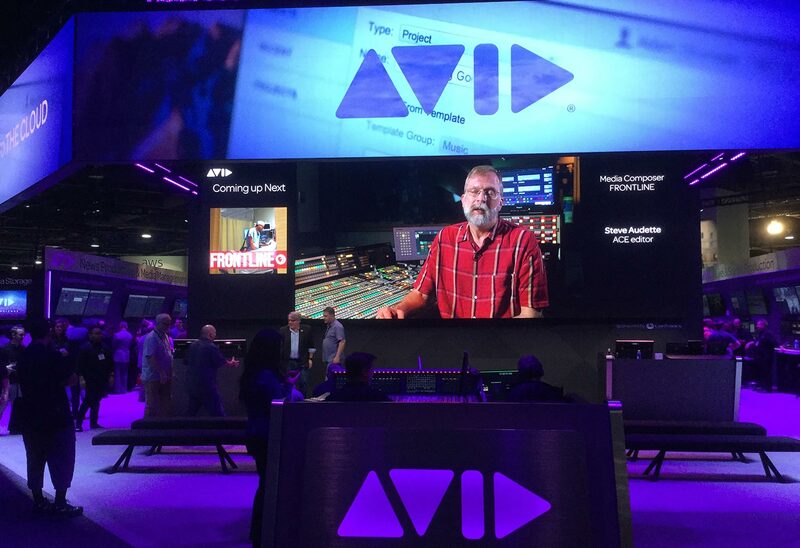 In an effort to attract new users to Media Composer, Avid also announced Media Composer | First. This is a free version with a reduced feature set. It’s intended as functional starter software from which users will hopefully transition to the full, paid application. However, it uses a “freemium” sales model, allowing users to extend functionality through add-on purchases. For example, Media Composer | First permits users to only store three active projects in the cloud. 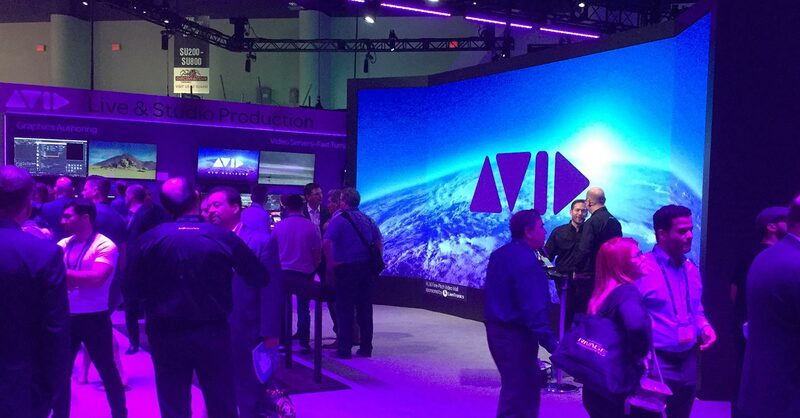 Additional storage for more projects can be purchased from Avid. 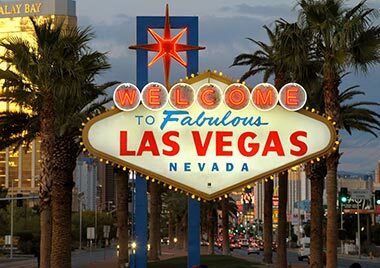 Autodesk’s NAB news was all about the 2016 versions of Flame, Maya and 3ds Max. 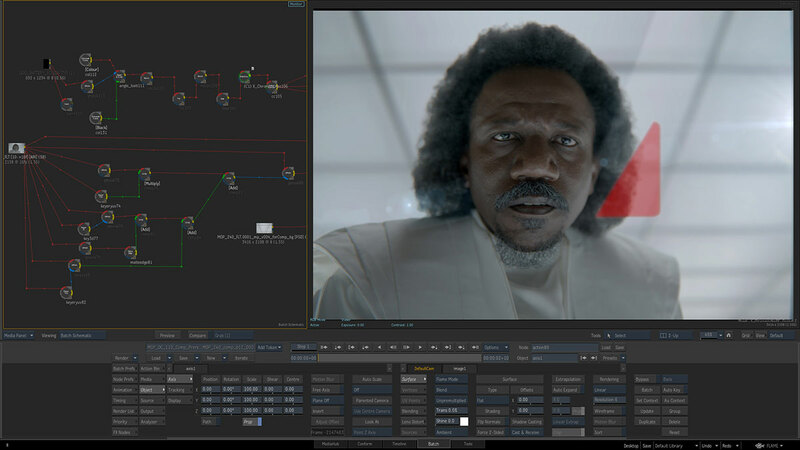 Flame and Flame Premium customers gain new look development tools, including Lightbox – a GPU shader toolkit for 3D color correction – and Matchbox in the Action module. This applies fast Matchbox shaders to texture maps without leaving the 3D compositing scene. Maya 2016 received performance and ease-of-use enhancements. There are also new capabilities in Bifrost to help deliver realistic liquid simulations. 3ds Max 2016 gains a new, node-based creation graph, a new design workspace and template system, as well as other design enhancements. If you’ve been following Smoke, then this NAB was disappointing. Autodesk told me that an update is in the works, but development timing didn’t allow it to be ready in time for the show. 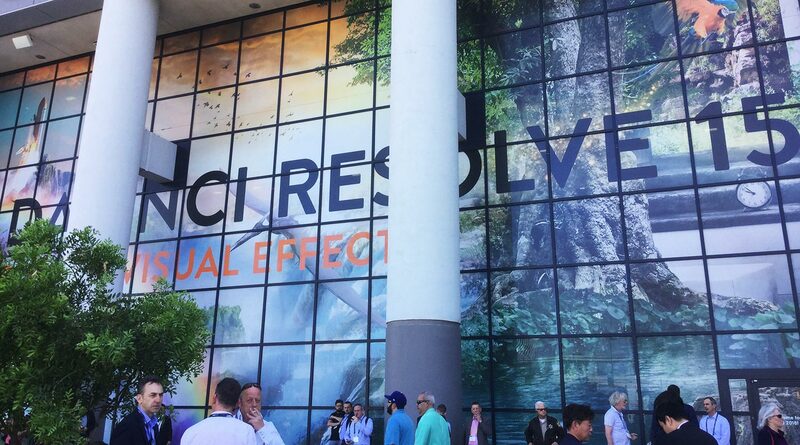 I would presume we’ll hear something at IBC. 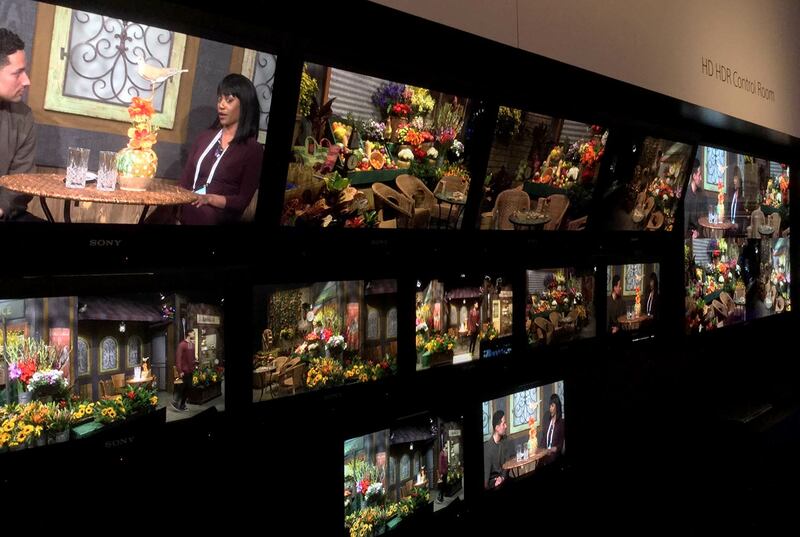 For editors, all eyes are on Blackmagic Design. 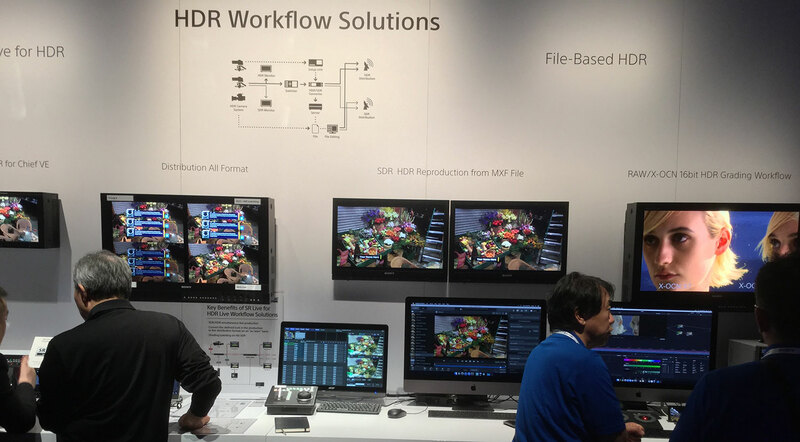 DaVinci Resolve 12 was demonstrated, which is the first version that the company feels can compete as a full-fledged NLE. 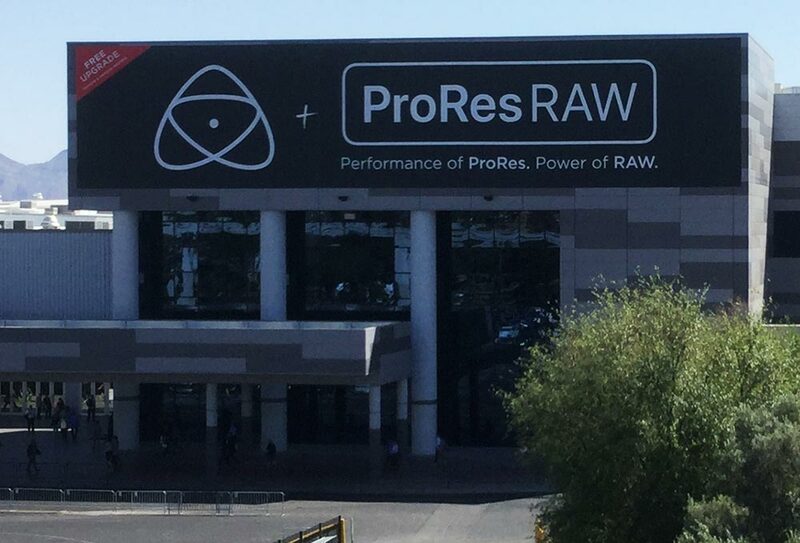 Last NAB, Resolve 11 was introduced as an online editor, but once it was out in the wild, most users found the real-time performance wasn’t up to par with other NLEs. 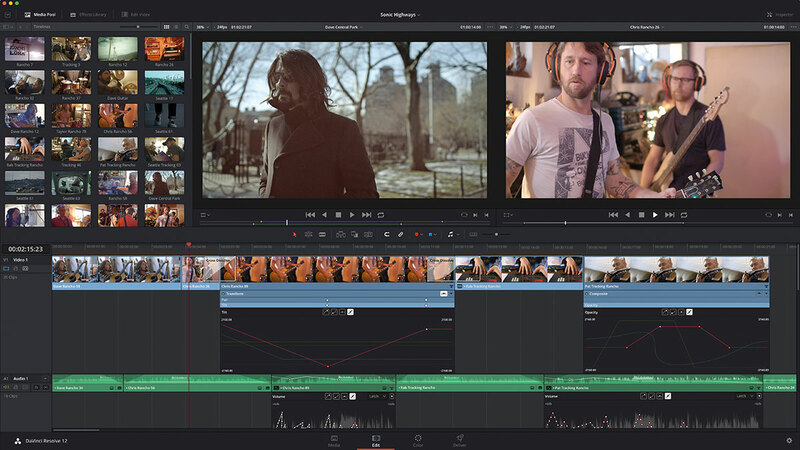 Resolve 12 appears to have licked that issue, with a new audio engine and improved editing features. 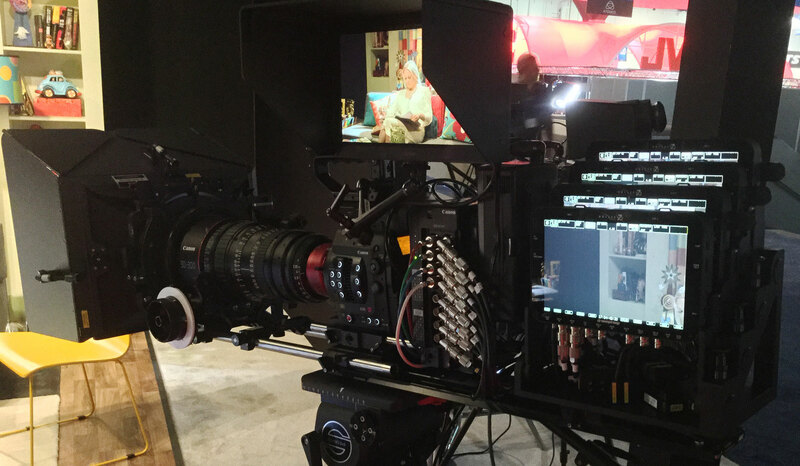 New in Resolve 12 is a multi-camera editing mode with the ability to sync angles by audio, timecode or in/out points. The new, high-performance audio engine was designed to greatly improve real-time playback, but also supports VST and AU audio plug-ins. Editors will also be able to export projects to ProTools using AAF. Don’t forget that there are also updates to its color correction functions. Aside from interface and control enhancements, the most notable additions are a new keyer and a new perspective tracker. The latter will allow users to better track objects that move off-screen during the clip. 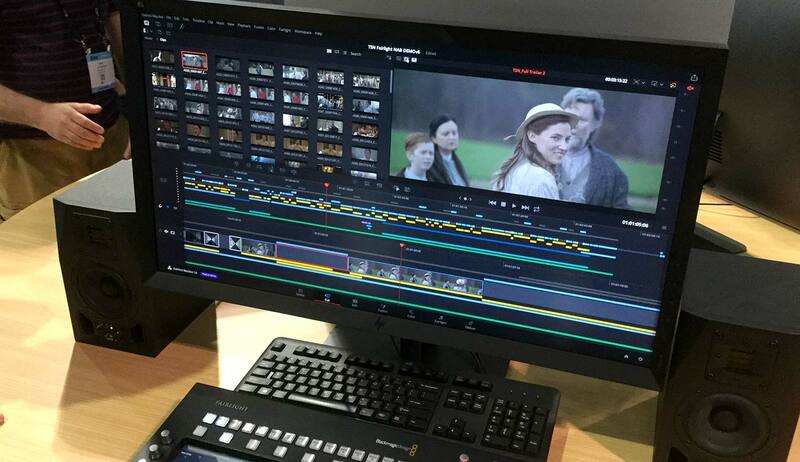 Resolve 12 is scheduled to be released in July. 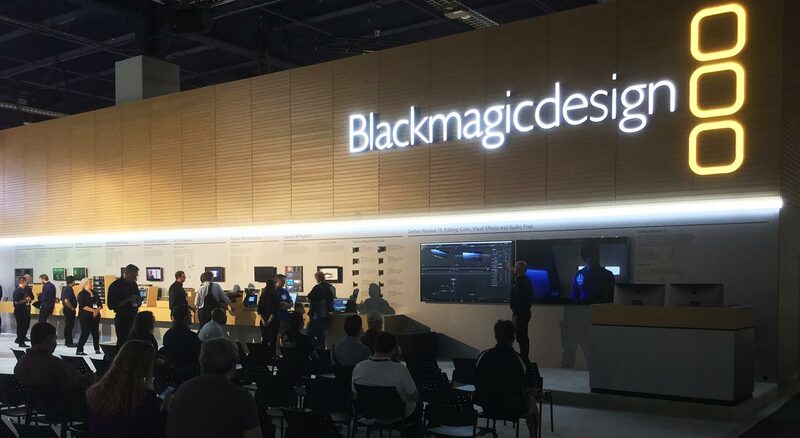 Blackmagic acquired Fusion last year. It’s a node-based, compositing application, built on Windows. 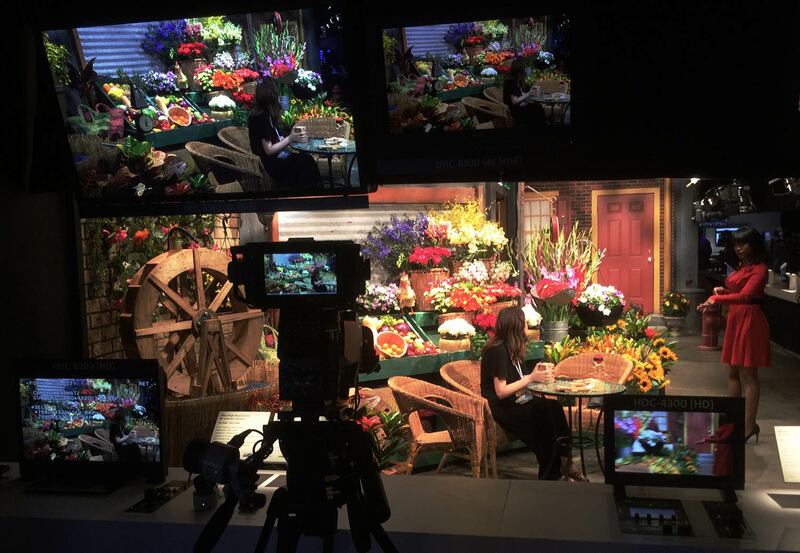 At the booth, Blackmagic previewed Fusion 8 on the Mac and announced that it will be available for Windows, Mac and Linux. 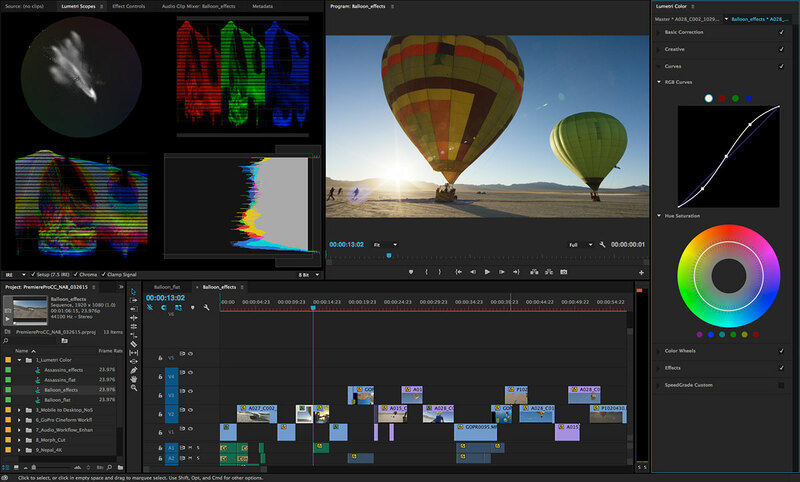 Like Resolve, Fusion 8 will be offered in both a free and a paid version. This post is an abbreviated overview written for CreativePlanetNetwork and Digital Video magazine. 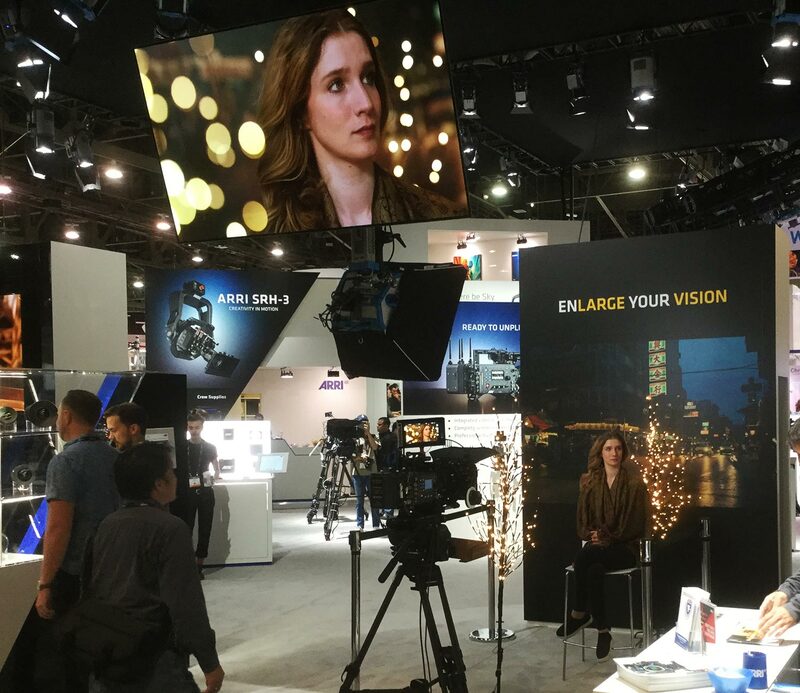 Click here for the full-length version to find out about more post news, as well as cameras, effects and other items presented at NAB. 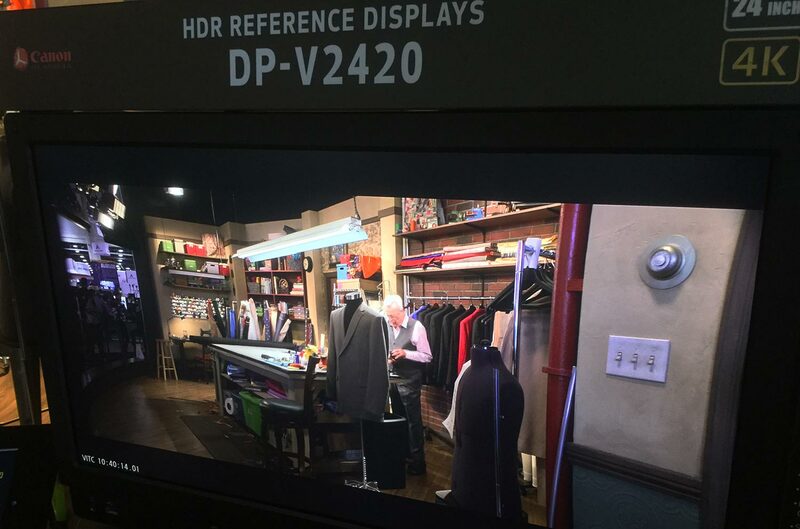 For those interested in a preview of NAB 2014, check out my article written for Digital Video magazine.